From reflashing to logging to diagnostics, the Openport 2.0 can do it all with just a PC laptop and a USB port. Use it with our EcuFlash software for unlimited tuning and logging of Subarus, Mitsubishis, and an ever-expanding list of supported vehicles. The Openport's industry-standard SAE-J2534 interface can also be used with OEM reflashing software for any car sold in the USA since 2004. A Smart Cable Means Faster Tuning. The Openport 2.0 uses a built-in 32-bit ARM processor to allow fast communication with your ECU without burdening your PC - which means reliable faster reflashing and logging for you. Using built-in microSD slot, the Openport can log continuously from your ECU without a PC, day after day, to help work out those hard to replicate bugs in your tune. EcuFlash is our free software used with the Openport 2.0 to give you the power to tune and reflash many Subaru and Mitsubishi vehicles. Unlike most commercial tuning solutions, EcuFlash doesn't limit how many cars you can flash, what parts of a ROM you can see, or what you can share with someone else. This ability to share information and ideas has helped found and build the OpenECU community of enthusiasts and professional tuners alike. 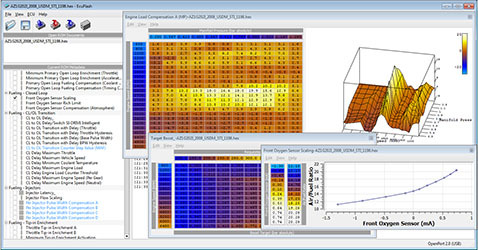 Look for integrated logging, OBD diagnostics, Honda, Nissan, and Mazda support coming soon! Our 3-port boost solenoid upgrade along with EcuFlash tuning allows for consistent boost control at levels much higher than factory solenoid supports. 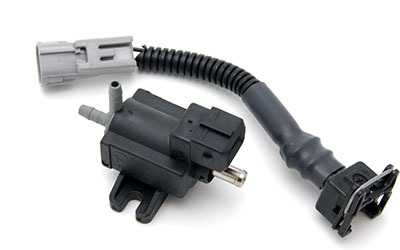 This solenoid includes a harness compatible with Subarus and Evos. 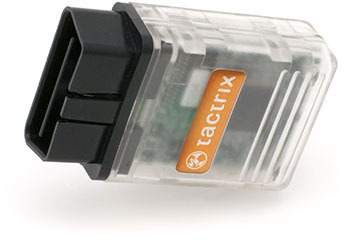 Tactrix will have reduced hours starting later on March 28th. Your order will process no later than the week of April 8th when we resume normal hours. On the day your order ships you'll receive an automated email with tracking information. This also means there will be delays in replying to your support questions. We thank you for your patience during this period. Go here to download and see what has changed. We are excited about our move to San Francisco and the improvements in our products and service that our new employees will bring! Our new building is solar powered and generates more power than we use, so we can save our CO2 production for going fast! What are the pinout and pin functions of the Openport 2.0? How can I log the J2534 calls my application makes for debugging? What cars work with EcuFlash? What OEM J2534 software does the Openport 2.0 work with?